Colombian sound artist graduated of Andes University located in Bogota in the 2010, between his investigation fields are to record soundscape in natural ecosystem. 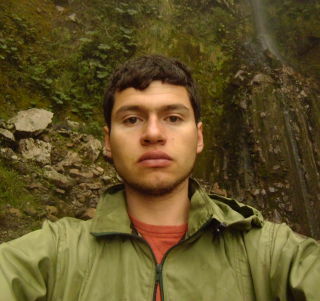 He has developed his field work in the natural parks and reserve of biosphere The Tuparro (in the cause of the Orinoco River) and fog forest of the Cueva de los Guacharos (in the south of the Colombian west Andes mountains limiting the departments of Huila and Caquetá), He was a forest ranger in this Areas. Also He recorded in the Otun Quimbaya Sanctuary (in the Colombian central Andes Mountain department of Risaralda), in the rainforests the Paujil Reserve (middle Magdalena) among others. With this phonographic material he has done sound installation and sound sections in the Botanic garden of Bogotá and the experimental bar Matik Matik.